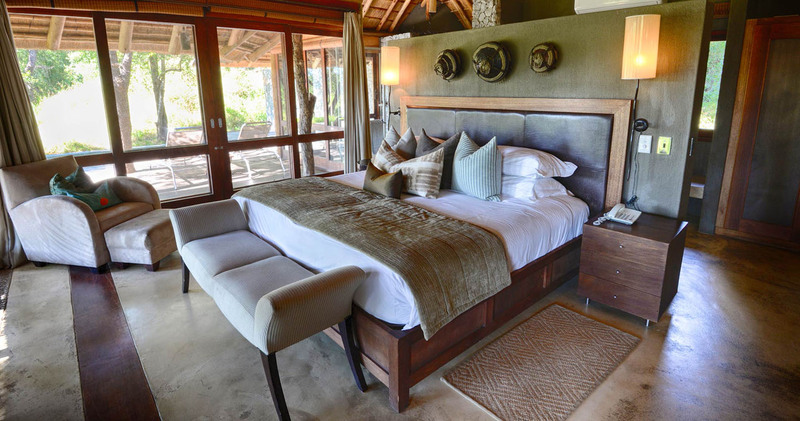 Dulini Leadwood Lodge, which is located in the amazing Sabi Sands Game Reserve, consists of four beautifully decorated suites that can be booked either for individual use and sole-use for families and friends. Sitting on your own private porch and listening to the peaceful sounds of the Sand River will make you feel at one with nature. This is the best place for safari travellers to spot amazing animals like spotted hyena, various antelope, elephants, white rhinos, buffalos, hippos and ‘most of all’ leopards. 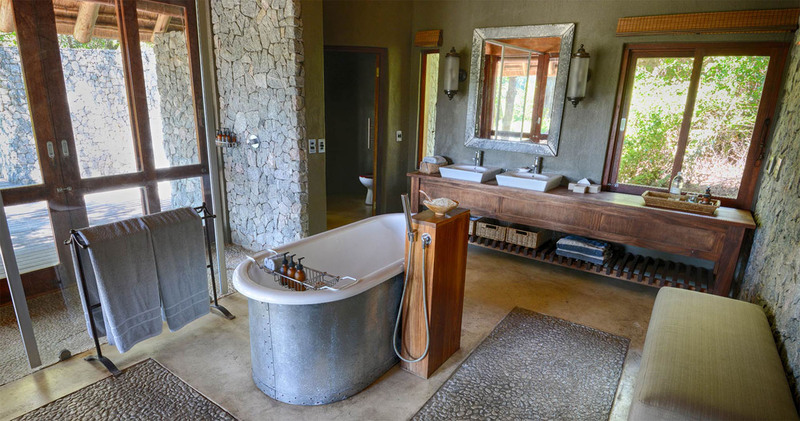 This state of the art accommodation offers refreshing outdoor showers, cosy fireplaces and exciting private plunge pools. 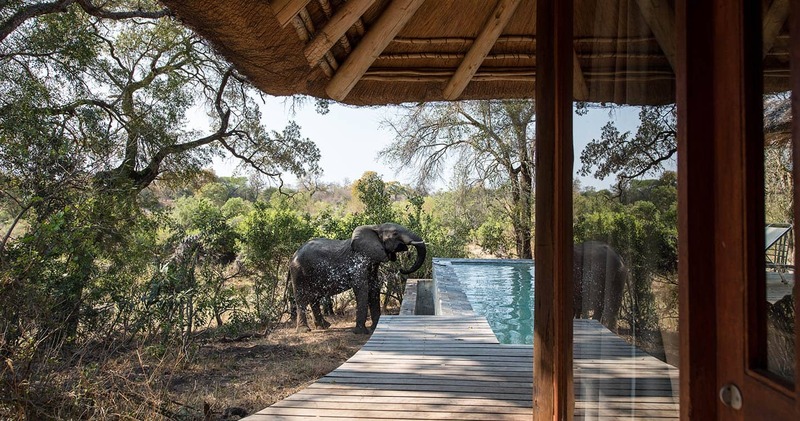 The amazing suites offer an absolutely relaxing atmosphere each with their own private verandas to allow you to fully absorb the beauty of this wildlife area. 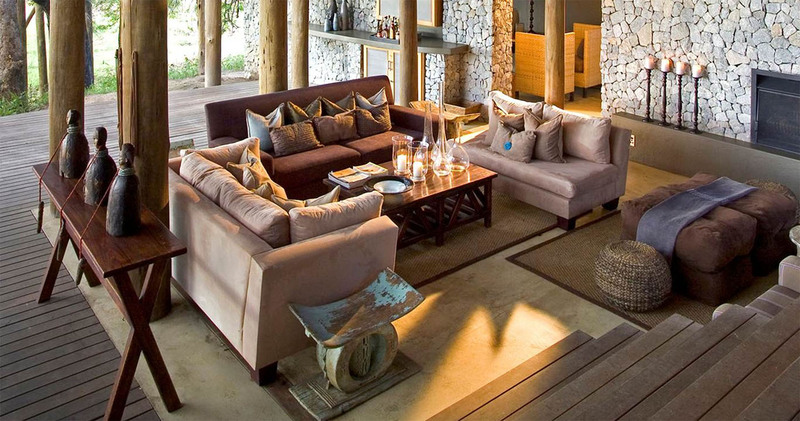 What truly makes this lodge special is the intimacy and privacy. The four suites are at such a distance from each other that it allows enough tranquillity for all the guests. For those who enjoy the company of other people and wish to share their experiences there are cosy and comfortable shared spaces. Dinner can be served in a beautiful open air dining room which will allow you to digest not only the delicious food but also the outdoor African air. A stay at Dulini Leadwood Lodge comes with the comfort of a dream team of staff that will also accompany you during the morning and evening game drive to ensure an exciting and memorable yet safe experience. An experienced ranger and professional tracker are included in the dream team to provide you with enough information about the wildlife that you will spot during the game drive. These game drives will be focused on what you hope to see in the Sabi Sands Game Reserve. Visitors can also choose to enjoy the interpretive bush walks in the Sabi Sands Game Reserve and bird watching is also a must-do activity. To escape from the exciting activities and to relax, the wellness centre at &Beyond Exeter River Lodge offers special massages which can also be done in your own comfortable room. Dulini Leadwood Lodge offers a wonderful honeymoon special. Brides receive a 50% discount when staying for a minimum of three nights. Valid through 31 December 2019. Amazing property. Our suite was large, fully equiped, very private. They have wasted no expense to decorate the lodge. They only have 4 rooms, so the max number of guests is only 8 people. This allows a very personal, first name basis for the whole stay. The rooms are super luxurious and we had no complaints. You must try to plunge pool and outdoor shower. The staff was very friendly and did everything you requested. Mac is an excellent ranger, and Colbert is an amazing tracker. We were there for 6 game drives and were able to see all the big 5 plus more. Kari is an excellent host. The food is above average and there is definitely no shortage of it. Expect a lot of food. One of the best places I've stayed at. My husband and I stayed at Exeter Leadwood Lodge for 3 nights in August. It is an intimate, luxurious, beautifully situated and designed property with only 4 rooms, each in a beautiful, secluded house with an infinity plunge pool. We enjoyed our stay very much, but a few things did detract from the experience. First, there is only one safari vehicle for the entire lodge (8 people), which means tight quarters on the drives and a greater likelihood of unpleasant companions. One would think that a lodge in this price category would have less crowded vehicles. Second, there is only one ranger for the entire lodge. This means that if you want, for example, to go for a walk in between the drives, the chances are high that the ranger will be otherwise preoccupied and you won't be able to go. Our ranger had "a meeting" on the day we wanted to do the walk. Again, in this price category, one expects better attention. Finally, while the lodge is otherwise well-maintained, something is horribly wrong with their towels -- they are old, of questionable color, and tattered as if they've been through the claws of the Big Five. 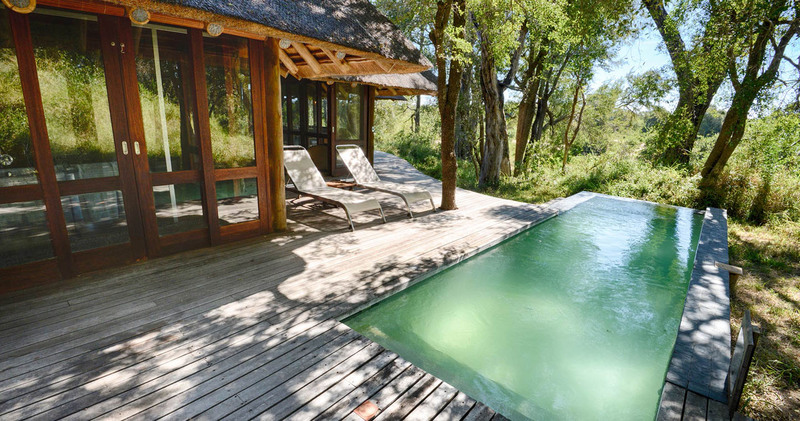 Dulini Leadwood Lodge was in the Resorts Magazine’s top 100 places to stay in 2012. Honeymoon special: Also see our honeymoon special offer on the left. 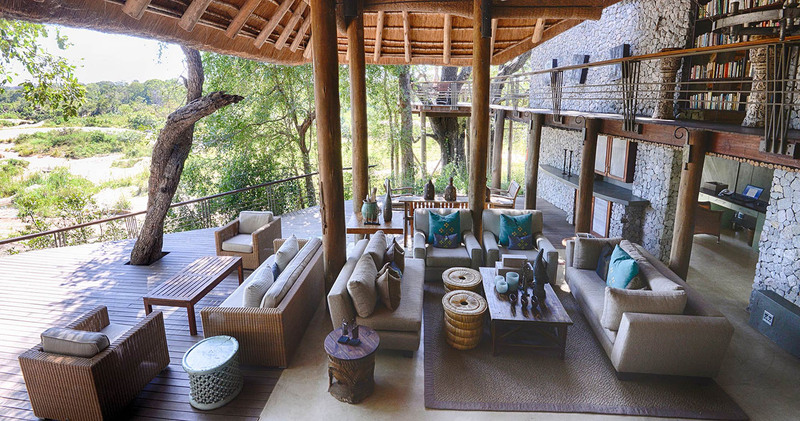 Read all about travelling to Dulini Leadwood Lodge on our getting to Sabi Sands page. Leadwood Lodge is best accessed through Kruger Mpumalanga International Airport near Nelspruit. Dulini Leadwood Lodge welcomes children 12 years of age and over or if the lodge is booked exclusively. 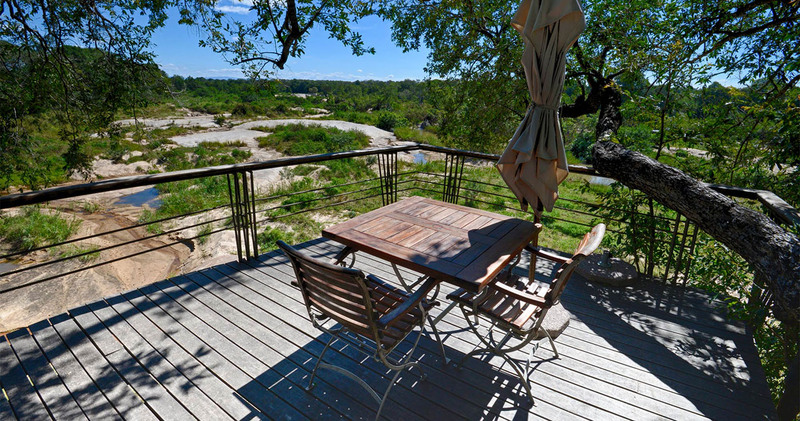 We hope you have found all information needed to decide that Dulini Leadwood Lodge in the Sabi Sands Game Reserve is the perfect place for your next travel adventure. Please fill in the contact form and we will get back to you soon!